FitnessSyncer joins your health and fitness clouds into one Dashboard and Stream. Supporting over 40 health and fitness providers, including Fitbit, Garmin Connect, Samsung Health, Microsoft HealthVault™, RunKeeper, and more! Use your favorite apps, trackers, and devices for each activity. FitnessSyncer unifies the steps, distance, duration, calories burned, weight, blood pressure, glucose levels, nutrition, oxygen, sleep and temperature data — all in one place. 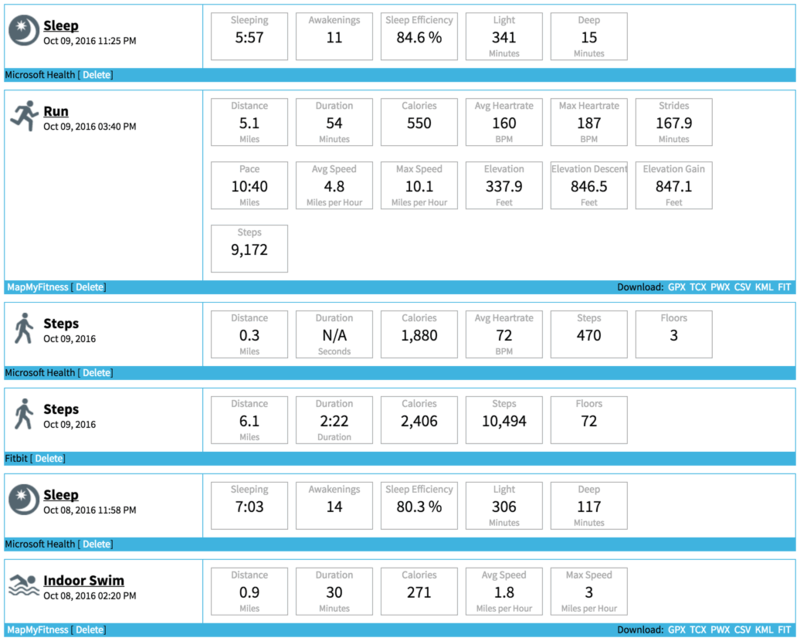 Use the FitnessSyncer Dashboard and FitnessSyncer Stream to view and analyze your health and fitness data. See your stats over time, gain insight, and stay motivated. Use FitnessSyncer Notebook or FitnessSyncer Uploader to record your data that isn’t already in a cloud. Enter data manually and make sure everything you do counts. Seamlessly move your health and fitness data between apps, trackers, and devices, so you can gain insight into your data in different ways. Create a Unified Health and Fitness Hub! FitnessSyncer unifies your data in one convenient place so you can make informed decisions toward better results. 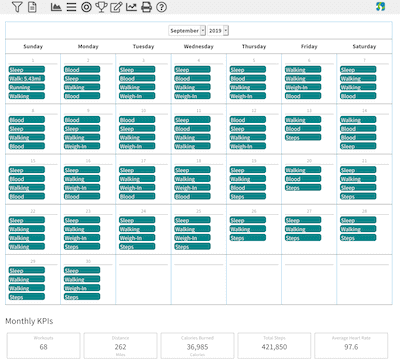 Analyze your data in our customizable dashboard, stream, exportable calendar, daily analyzer, and more! You’re already doing the hard work. We make it easy to see the complete picture so you can achieve your health and fitness goals. See your data on graphs and KPIs. Slice and dice your data any way you want. 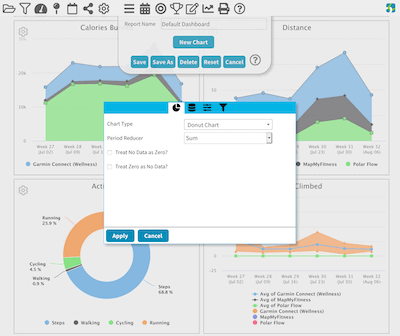 Pro users can create unlimited, customizable dashboards. See a list of your data and dive in deep for item analytics, like visualizing split times or last mile stats for training purposes, heart rate zones, sleep graphs, and more. Compare months to spot trends or export to your own calendar. 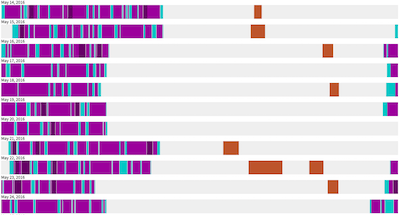 Visualize the patterns of your day with a minute-by-minute view of all the data you track within FitnessSyncer. Daily Analyzer offers an interesting perspective and insight into your daily trends. As you keep active, we keep those actions moving to your destinations. Your Best examines all your data stored in FitnessSyncer and lets you know your highlights (and lowlights) so you can celebrate your accomplishments or adjust your routine.